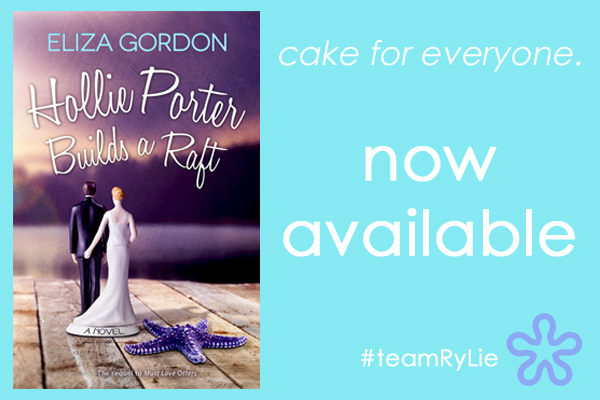 Source: Happy Book Birthday to Hollie Porter Builds a Raft! Happy Book Birthday Author Eliza Gordon!! Hollie Porter is the funniest, wittiest character you will ever meet in a story. Eliza Gordon takes this second book, in this series, to a new level of laugh out loud goodness. The things that happen to Hollie in this book will have you crying with tears of joy. There are even twist you that only can happen to Hollie and Ryan. Ryan is the greatest guy ever with his ever so loving ways toward Hollie, and the special gift he gives her at the end, shows there is no there man like him. With the many twist that is thrown at them in this story, one will have to read it to find out if they make it to the alter in the end. Make sure you Must Love Otters first because you will miss out of the back story of all these wonderful characters in this book. Please Eliza Gordon give us another story of Hollie and Ryan.